My husband and I visited Pensacola Beach last fall. Yes, we went to the beach in the fall. Even though I'm an Alabama native, this was my first trip to Pensacola Beach. It's only about ninety minutes east of Mobile, right in the Gulf of Mexico. You have to cross a short toll bridge to get there from Gulf Breeze, Florida. We stayed at the Hampton Inn Pensacola Beach, which was a great location right on the beach. Our fourth floor room had a balcony with a beautiful view of the Gulf. Though it got a bit windy, we sat on the balcony a short time each evening just to soak in the view. This was a lazy vacation for us so we didn't do much. One afternoon we drove the length of Pensacola Beach, which is about eight miles, and took a load of pictures. It was a long stretch of of nothing but beach, restaurants, and timeshares/vacation rentals. I can't report on any of the restaurants because we didn't try any. I was on a pretty strict food plan at the time so it was best for me to avoid places that celebrated food, if you get my drift. I tried to get my husband to try out some places like Peg Leg Pete's so I could live (and eat) vicariously, but he didn't take me up on it. On the day that we were leaving, instead of walking on the beach, we decided to walk on the pier. 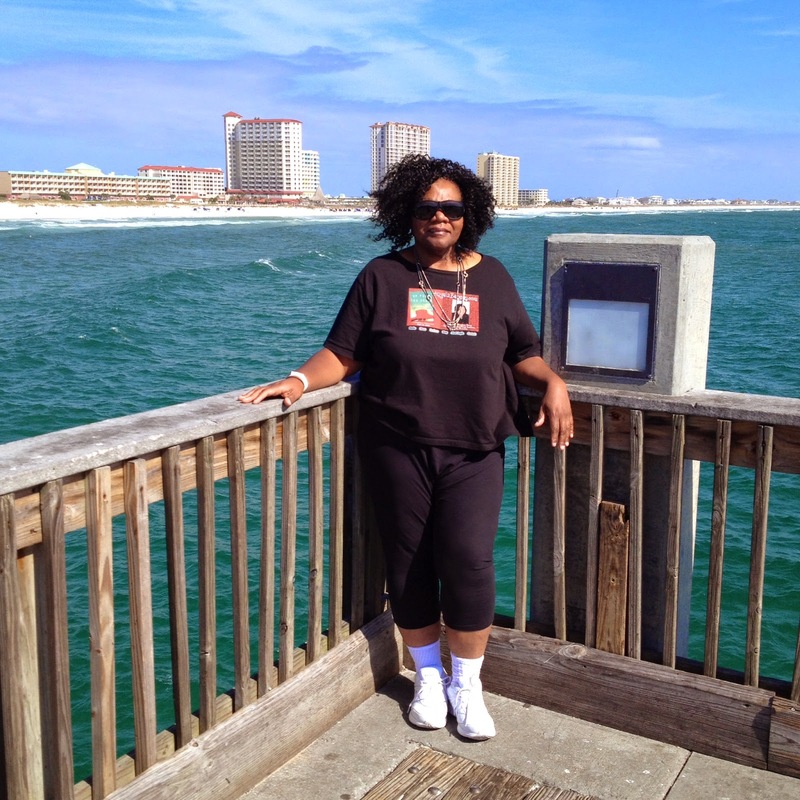 The Pensacola Beach Pier is a must-see stop. It's about 1500 feet long, though I was sure it was closer to a mile! There is an ice cream shop right at the entrance where we stopped so hubby could get an ice cream cone. I was proud of myself for sticking to my program and not indulging. While he ate, we watched the fishermen on the pier. They seem to be serious fishermen as they had pretty large coolers to store their haul and all of them had multiple fishing poles. The ice cream shop sold bait and tackle for tourists who wanted to join in the fishing but we didn't take them up on it. Once hubby finished his ice cream, we began our stroll down the pier, stopping frequently to gaze out on the water or observe a fisherman at work. It doesn't sound exciting but the trek made for a very enjoyable morning. After our visit to the pier, we walked back to the hotel and prepared to leave for home. If we were beach people, we'd definitely go back to Pensacola Beach, but we're not, so it's not on our list of places to visit again. What about you? 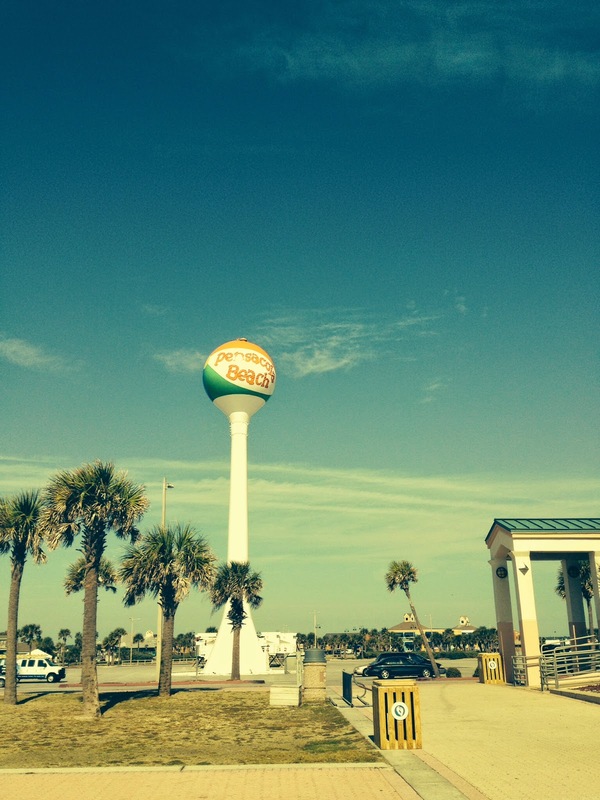 Have you been to Pensacola Beach? Would you like to go there? What are your favorite beach reads? Angela Benson is the award winning and bestselling author of fourteen novels, two novellas and a non-fiction writing book. Her most recent book is Delilah’s Daughters (Avon, 2014). Her next book, The Summer of Me, will be released by Avon in early 2015. While you’re waiting for Angela’s new title, be sure to check out her backlist recently released in eBook format. Join Angela on Facebook or her website. Beautiful pictures. I love the water. I grew up on the Gulf of Mexico. Something calming about water. I've never been to Pensacola Beach, but it sounds beautiful. Last week, I was in Oregon to visit my son and his family. We went to the coast one day, even though it was raining, and had a wonderful time -- especially their dog who had never seen the ocean before and discovered it was his natural element. So much fun watching him running in and out of the waves with the kids chasing him. Come to think of it, every memory I have of a beach is a good one. Margaret, I agree. There really is something calming about the water. Patricia, I love the image of the dog and kids playing in the water. Hmm, maybe hubby and I will turn into beach folks before it's over. 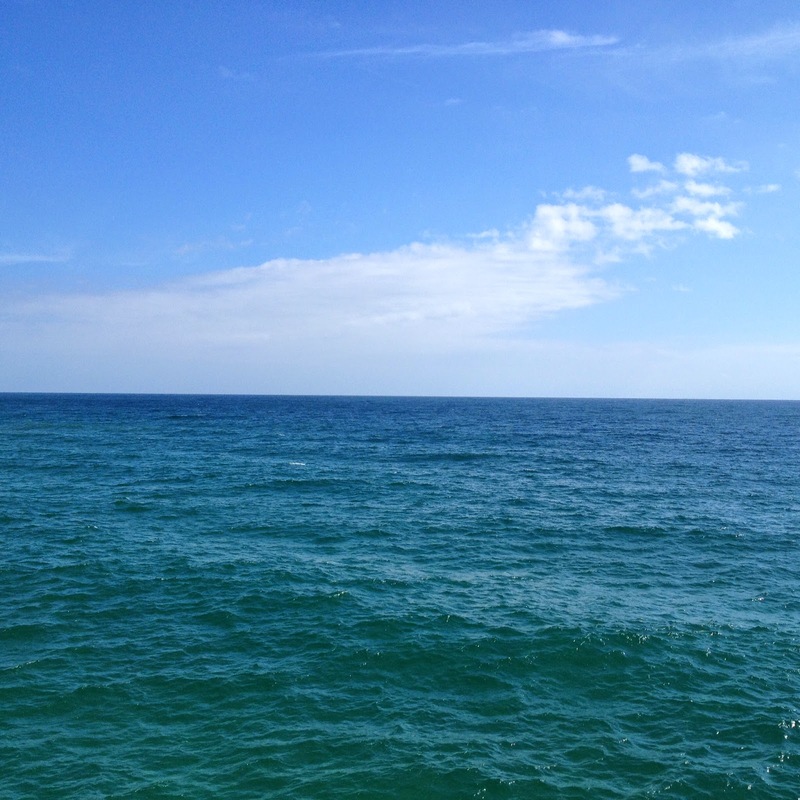 I haven't been to Pensacola, but I love walking along the ocean. Makes me want to go today! This is beach time. The hot weather here might make me change my mind about the beach. Angela, I love the beach! Almost any beach as long as it's warm and sunny. Glad you enjoyed FL!